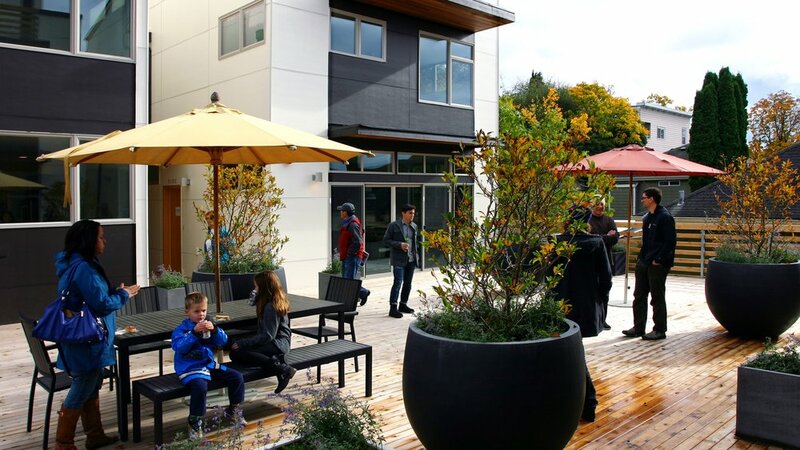 Marion Green pioneers an entirely new approach to urban multifamily housing: The Courtyard Terrace. 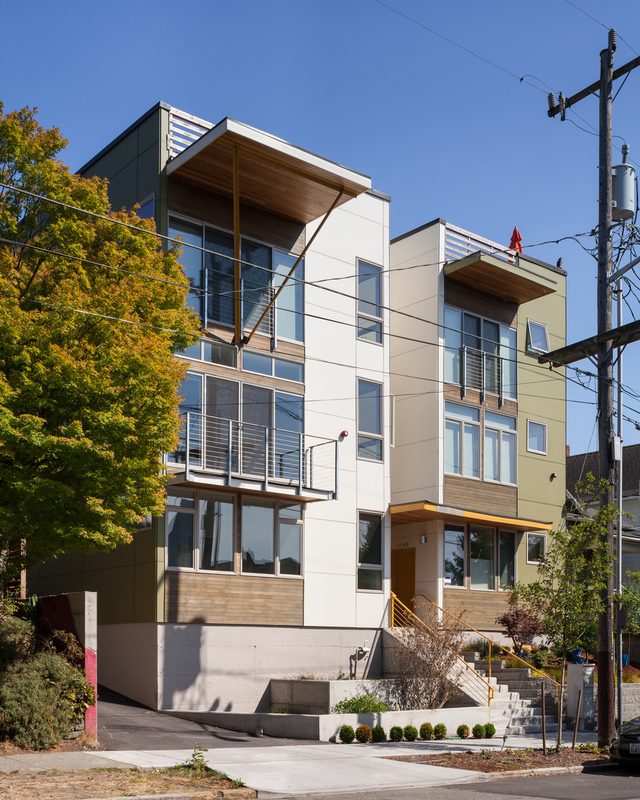 This new housing type creates a community center for all the residents to share, mitigates the visual impact of parking, facilitates interaction between neighbors, and increases access to open space and natural light. The courtyard serves as the primary pedestrian circulation route promoting chance encounters among neighbors. Semiprivate deck spaces for each unit ring the periphery, and the center of the courtyard provides communal space for group events. Public, semiprivate, and private amenity areas are layered and nested, allowing residents to find a balance between privacy and community. Outdoor and indoor living space flow together. Living rooms and kitchens open onto and look into the courtyard. The courtyard breaks up the project massing and brings natural light into the center of the project. Parking is situated under the courtyard deck. The buildings are pushed out to the edge of the site. The negative visual impacts of parking are mitigated, and the site area normally taken up by parking is returned to open space. Altogether, 5,215 square feet of open space is provided on a 7,680-square-foot lot. Seattle is currently the fastest growing city in the nation. Originally developed as a city of single-family homes, Seattle has more or less run out of single-family-zoned land. In order to continue to absorb growth, the city has to build its new housing in a more urbanized form. Currently the city is grappling with a problem: How to increase density without sacrificing neighborhood character and livability? Marion Green is a model for how urban neighborhoods can grow successfully, satisfying pragmatic concerns like parking and project economics while providing an architectural solution that is people-centered and humane.